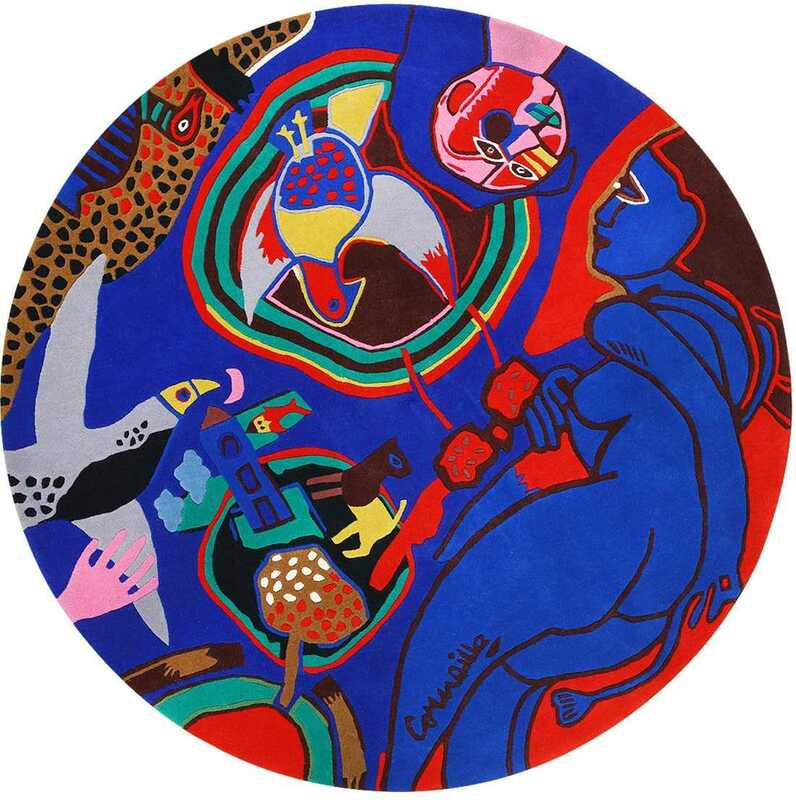 Corneille rugs – The Dutch painter Corneille (1922-2010), born Guillaume Cornelis van Beverloo, was at the forefront of the avant-garde movement in postwar Europe. 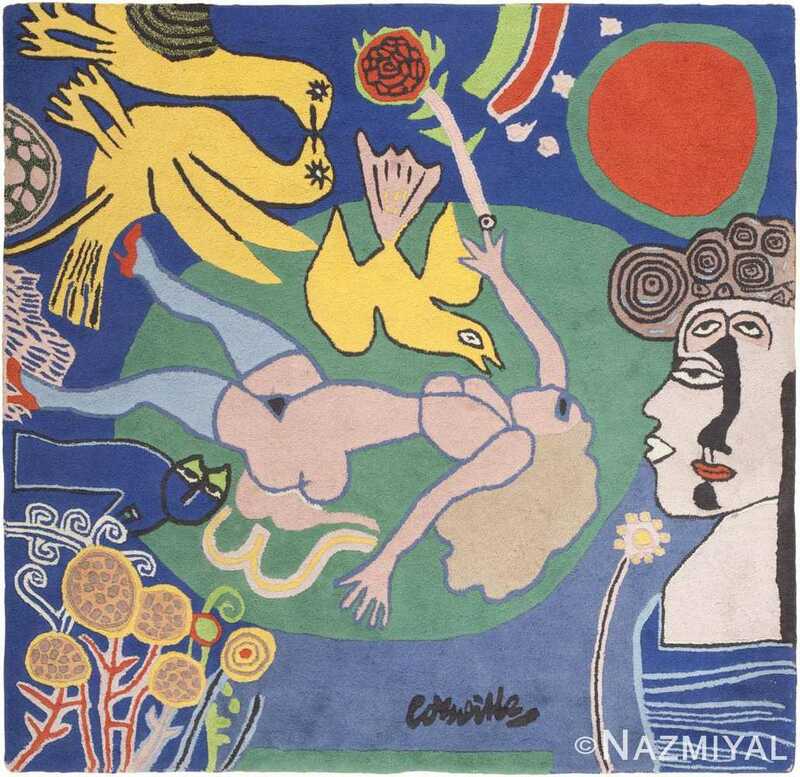 Corneille was a poet and multi-disciplinary artist who helped earn recognition and respect for modern art. 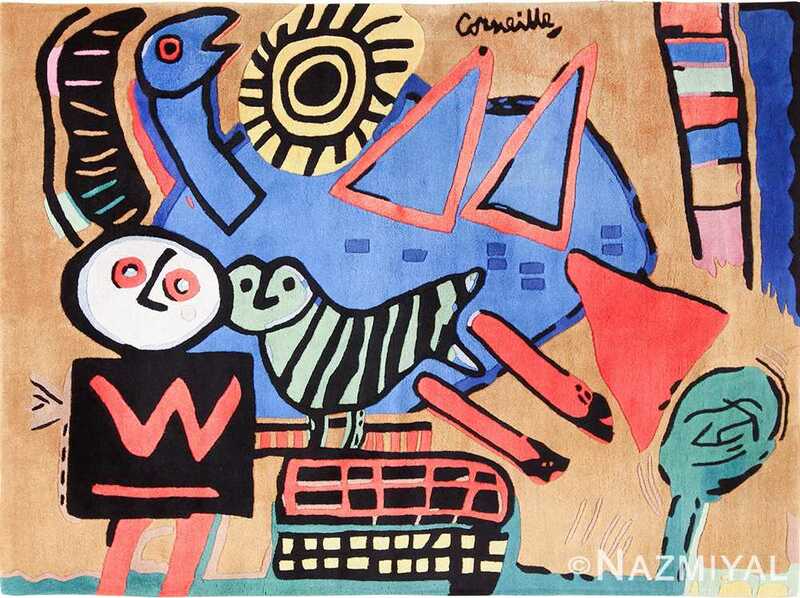 As a lifelong artist, Corneille had a long and industrious career creating original paintings, sculptures, ceramics, art objects and jewelry. His boldly colored paintings were frequently adapted into art carpets by the Danish manufacturer EGE Axminster and other firms specializing in art rugs. 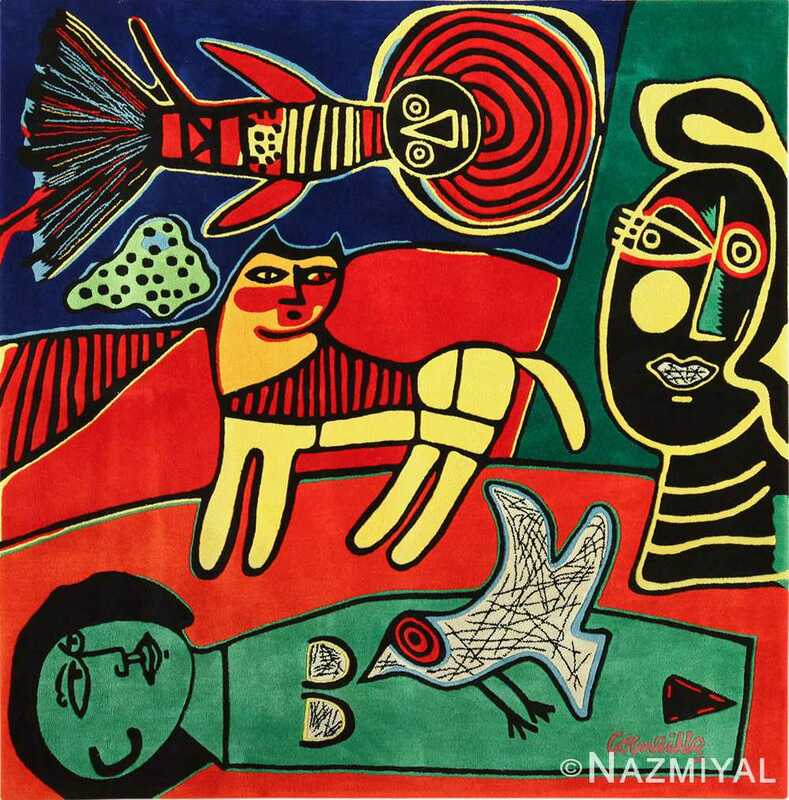 Corneille was an optimist and self-described painter of joy, an emotion embedded in all his works. A Belgian by birth, Corneille moved to the Netherlands with his family at the age of 12. He received formal training at the prestigious Academy of Art in Amsterdam before turning the local art scene on its head. Corneille helped establish the experimental Dutch art group REFLEX. Around the same time, he co-founded the influential but short lived group CoBrA, an acronym of the members’ home cities. Former CoBrA members include Karel Appel, Constant, Christian Dotremont and other artists who had highly successful careers. From 1948 to 1951, CoBrA completed international exhibitions and published a 10-issue magazine that included Corneille’s poetry. The group disbanded in 1951 saying they achieved all their goals. This gave Corneille the freedom to travel and focus on his solo work. His paintings often feature brightly colored birds, animals, voluptuous women and fantastical landscapes decorated with mythical details. 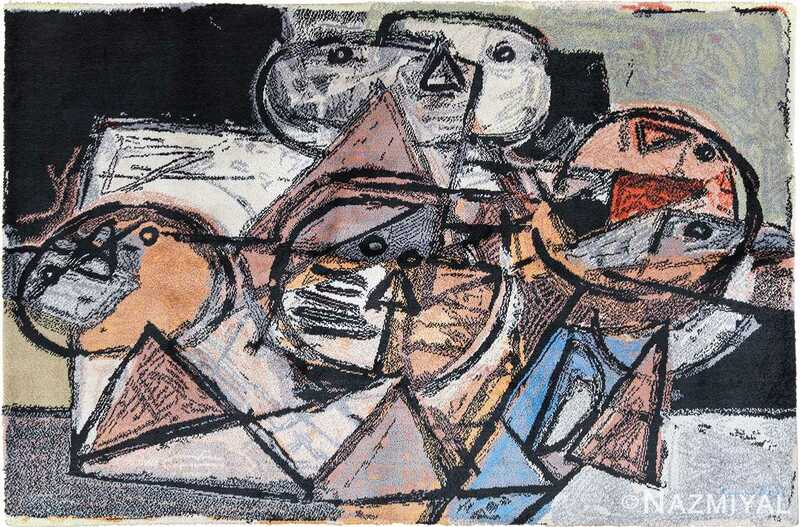 Corneille took familiar objects and depicted them in a new, abstract manner. His works are displayed in the CoBrA Museum, the Museum of Fine Arts in Boston and the Fine Arts Museums of San Francisco. 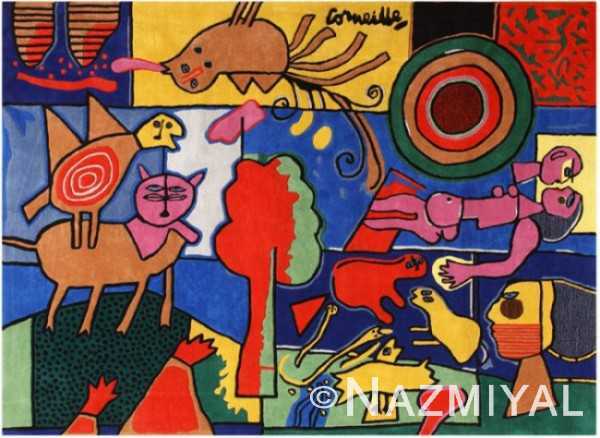 Corneille was influenced by Paul Klee and Joan Miró. However, he identified most with the style of Vincent van Gogh and was laid to rest next to the great artist according to his wishes.